Back when I was doing my Clinical Pastoral Education Residency at Parkland Memorial Hospital I was astounded to hear my pastor make a comment which I think was one of the most heartless that I have ever heard said from a pulpit. The church was a large and trendy Evangelical-Charismatic Church which I had attended throughout seminary and had ordained my in October 1991. The Pastor was recounting an incident where one of our members had been critically ill in hospital and had not been visited by him. After the parishioner was released from hospital he asked the pastor: “How sick do I have to be for you to visit me in the hospital?” The pastor told us his response: “Sir, you don’t want to b e that sick.” The congregation laughed at the pastor’s story and he went on to talk about how he and other senior pastors should not be doing that kind of work because it “distracted them from bigger Kingdom tasks.” You see according to the pastor the care of sick parishioners did not contribute to the “growth” of the church and thus was a “distraction and better left to others.” The comment struck a raw nerve now that I was dealing with the suffering and death every day of people who had been abandoned by the churches and pastors. I lost all respect for him as a man and pastor during that sermon. The words of my Philosophy of Religion Professor at Southwestern Baptist Seminary Dr. Yandall Woodfin said: “You have not done Christian Theology until you have dealt with suffering and death.” This pastor had stopped doing Christian Theology in order to be an “Apostle” and CEO. He was “growing” the church and managing programs, but had for the most part stopped caring as in being a pastoral care giver. Now this pastor is not alone and nor is the issue confined to Evangelical or Charismatic churches. The trend has has found its way across the denominational spectrum. Sometimes this is by design as is the case of the Mega-churches. Pastors of mega-churches are for all practical purposes CEOs of large organizations and have a multiplicity of specialized staff, but often which do little for pastoral care. Sometimes it is by default in cases such as the Roman Catholic Church. Here the ever worsening shortage of Priests is forcing the closure of smaller parishes and the increase of large parishes with a corresponding decrease in what Priests can do for their people. Even very good Priests cannot keep pace with the demand of both Sacramental needs as well as pastoral care. No matter if it is by design or default the result is similar. The least, the lost and the lonely those “lambs” that Jesus talks about who need care and feeding are shunted aside. In one case, that of the Catholic Church it is simply a lack of Priests, Deacons and Sisters to provide this care. The other is more troubling as the focus of the church is growth, sustaining numbers, programs and buildings. This requires that pastors spend their time with members who can supply the vast financial need that those plans require. I have seen this in numerous congregations across the spectrum, which sometimes as was the case at a church that I attended in Florida results in a financial meltdown and collapse of the congregation, many of whom gave up and went elsewhere when the extent of the scandal became known. Likewise the ripple effects that this caused in the denomination were like a Tsunami, it was disastrous and the church is still in recovery mode. Going back to my pastor back when I was in residency I got the feeling that had he been the shepherd in the Parable of the lost sheep (Luke 15) that he would have let it go as hunting for it might have distracted him from the others. When I was in seminary there were quite a number of my fellow students who chafed about having to take courses on pastoral care. I remember friends and fellow students complaining that what they needed were more “practical courses” such as “church growth, evangelism and Sunday School program management.” Course such as Pastoral Care were seen as a bother and distraction. Not to mention academic courses such as Systematic Theology, Philosophy of Religion and Church History. One friend talked about his Master of Divinity only having a “shelf-life of 5 years” because what he learned would be outdated. Well in a way he was right. His focus was on classes that dealt with programs and methods of church growth, programs and management. From that perspective his degree would rapidly be obsolescent as soon as the next trend in church growth came along and everyone jettisoned the last method in favor of the new. With the ubiquity of the Mega-church which unlike the Leisure Suit is not going away anytime soon. The rise of the “Superstar” Pastors such as Bill Hybels, Joel Osteen and Rick Warren and the proliferation of massive “Ministry Media” conglomerates and stand-alone television ministries are actually dangerous to the vitality and health of the Christian Church in the United States. They propagate methods which have the sole intent of getting people into church or giving to a ministry and keeping them there, doctrine, worship, sacraments or ordinances, and pastoral care of the least, lost and lonely be damned. The methods are pragmatic and impersonal. Numbers and crowds define expertise, credibility and worth. The bigger the church the better the church, it’s that simple. Unlike others who pick these ministers apart for their theology or business practices my problem with what is happening is what happens to regular people in these large and often very impersonal churches. It is easy for people to get lost, forgotten and when they are going through difficulty abandoned when the church stops making a conscious effort to do real pastoral care and focus purely on the programs which lend to growth. Often the substitute for pastoral care is found in the home cell group, or care group or whatever cute name a church can pin on a meeting at a member’s house. The cell groups have a noble intention. They attempt to build community in an otherwise very impersonal organization. There are some really good things that can come out of healthy home groups as well as long lasting friendships. We have a couple from our time in San Antonio that is still a very real part of our lives, they showed us genuine love and care and we remain friends. Of course this couple had an advantage over most home group leaders; he was a Clinical Social Worker by trade who was heading off to seminary. Most home groups are not that fortunate. At the same time there are unhealthy groups which are led by people who are poorly trained and equipped to deal with broken people. The good group leaders recognize their limitations and try to get help for those who are really hurting. Others who do not know their limitations end up abusing these dear lambs of God. Often this is because sick, depressed or lonely people take too much time, are too needy, or that their problems don’t match up with their church theology. We know this from personal experience as my wife suffered from a number of ailments throughout seminary and we were going through tremendous health and financial difficulties and in some places we felt cast aside and like we did not matter. We were fortunate that some people did care and we did make it through, however it was not something that I would ever want to repeat. I have heard similar stories from hundreds of people that I have come across in my life and work over the years. Another thing some churches do is to either add a “Christian Counseling” program or refer members to “Christian Counseling” services instead of doing pastoral care. In a sense it is the outsourcing of one of the most vital missions entrusted to a church, the pastoral care of the flock of God. 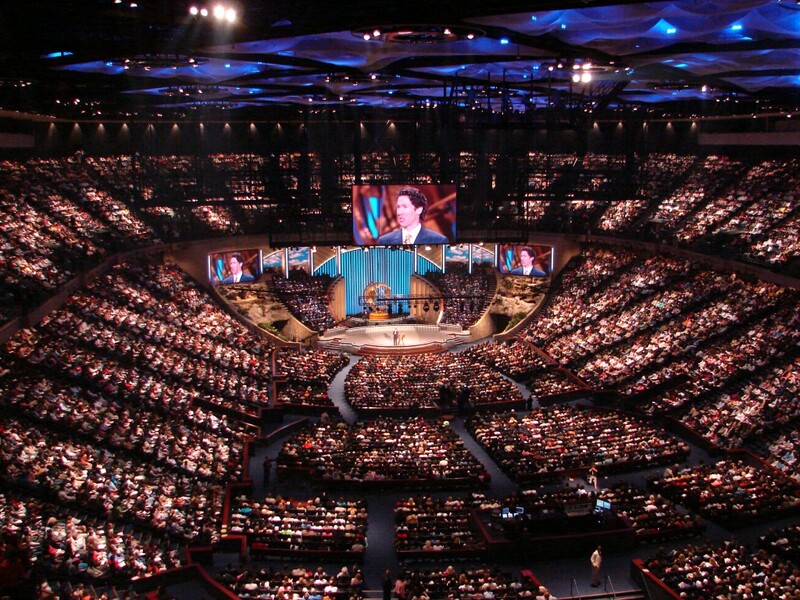 I don’t care what you call it, but any church which has multiple services of several thousand or a major service of close to 20,000 as occurs at Osteen’s Lakewood Church is no longer focused on caring for people but sustaining their growth and market share. I remember reading Charisma Magazine back in the mid-1990s when I still read it regularly about a church in North Dallas that has a period of incredible church growth in which it grew from 1,200 members to well over 7,000. In the article the pastor touted the church programs which drew people to the church. What the dirty little secret which was not mentioned was that two exits south of this church a Mega-church of some 10,000 members imploded when the Pastor, one Bob Tilton got caught doing some pretty bad stuff. This church despite its claims of great programs simple picked up about 6,000 of these people because they were close by and a similar type of church. All of this is dangerous as to its impact on people. One only has to look at the latest Barna Polls about what is going on in churches to see that these large churches are alienating people even as they grow. People come, but others either burn out trying to keep pace with the manic pace of programs proliferated by these churches or they get lost in the crowd and forgotten. I meet a least a person every day who is a displaced Christian, often hurt, lonely and broken, not only by what they have experienced in life, but by the cold emptiness that they feel when a church surrounded by thousands of people who don’t even know their name. Some churches do recognize that people have issues that need to be addressed and have in-house “Christian Counseling” programs or refer members to “Christian Counseling” services. I think that there certainly is a place for clinically trained therapists in the life of a church; however this is not really pastoral care, even when they use “Biblical” methods. In a sense it is the outsourcing by pastors of one of the most vital missions entrusted to a church, the pastoral care of the flock of God to others, in a sense, “hirelings.” Again my issue is not with the therapists or Christian counselors, but rather pastors who refuse to do pastoral care as part of their ministry. Ultimately it is people that are important, even those who are not rich, powerful and who have problems that don’t fit nicely into theological boxes or paradigms promoted by church growth experts. It is high time that churches start reclaiming one of the most vital missions given by Jesus to his Disciples, to care for the least, the lost and the lonely. The onus for this falls on pastors who cannot simply outsource one of their primary missions as given by Jesus himself to others. If pastors do not set the example of being caring pastoral care givers, it will not matter that they are supposedly “empowering” laypeople to do ministry. Instead it sends another more ominous message, that if it is not important for the pastor, why should it be important to me? Every member of the church at some time goes through a crisis when their faith, family, health or vocation. 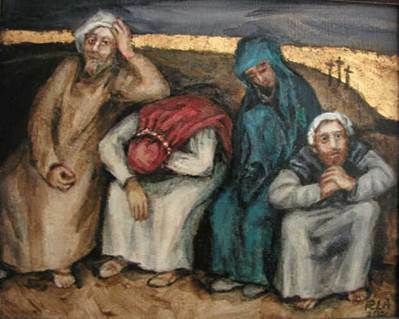 Sometimes these are not isolated events but rather prolonged periods of anguish, as what Saint John of the Cross described as “the Dark Night of the Soul” where it seems that God has even abandoned the person. Unfortunately people in this situation are often abandoned by their church as things fail to improve. Despairing they become the lost sheep whose shepherd has abandoned. This is the hardest time for pastoral care, the times where we as pastors are called to stand with someone as Mary the Mother of Jesus did at the Cross, just simply being there though nothing else can be done. Now do I understand that the demands of running a large church can be sometimes become such that pastors have difficulty making time for pastoral care? Of course I understand this, at the same time pastors, even those who function primarily as pastor-teacher/CEOs still have the responsibility of caring for people, not simply administering programs and preaching. Pastors need to set the example of care for people, real people, the regular Joes and Jane’s who populate their pews, by their books and give to their ministry, even if it is only in small ways, not just the super-givers or the wealthy and powerful. 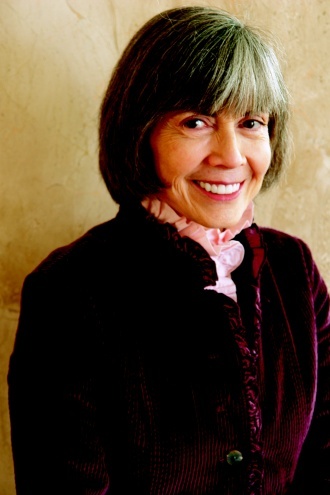 James’s “right strawly epistle” (Martin Luther’s words) has much to say about favoring the rich and powerful and neglecting the poor and seemingly insignificant people hanging about the peanut galleries of their large “Worship Centers.” Even if the pastor has limited time he or she must be about the flock, or they will forget what the needs of the flock really are and instead of the People of God, the lambs who Jesus says to care for they will simply be the consumers of a religious message who we have to keep coming back to keep the operation going. My sermon is over and I do hope that there will be more “amen’s” than calls for burning me as a heretic.